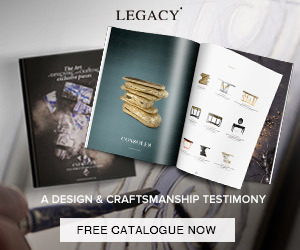 There are two types of people: those who search for quality in luxury design and manufacture and those who don’t. For those who thrive for quality, any dining table will just not be good enough. This is where the journey for the the dream table begins. 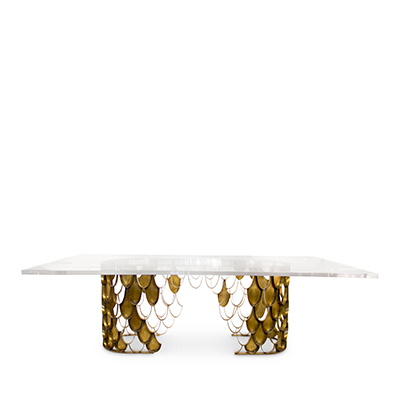 Here we will show you some amazing luxury dining tables from some brilliant design brands. Get inspired and choose well. The rich Fendi Casa catalogue contains furnishings for every area of your home. Seamlessly integrating modern advancements with retro details, the collection adds an elegant and inviting ambiance. This is an example of a Fendi Casa ambiance, and we love particularly the dining table, working as a statement piece in this beautiful dining room. KOI carp is a recurring symbol of Japanese culture. Its natural color mutations reveal their capacity to adapt, just like the set of KOI modern dining tables with table tops in glass or marble that you can choose to better fit in your ambiances. 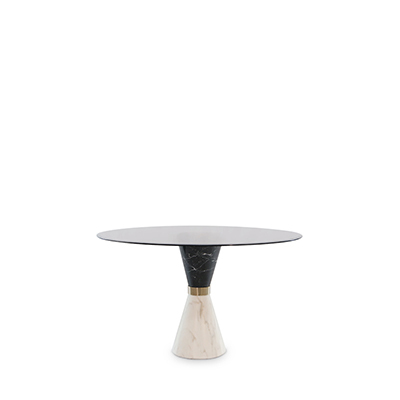 Manda is a dining table of hi-class of an extremely elegant line and accurate proportions. Top in 12 mm thick tempered back varnished glass in dark grey, bronze or extra clear white color, in solid surface 12 mm white or in ashwood dyed veneered in walnut, grey, black or heat-treated oak. Structure in solid ashwood in the same finishes as the wooden top. Take a look into these amazing details. Initially it is a dining table. Then it becomes a dining table cut from clear glass. Your eyes begin to wander down, drinking in the rhythmic design of the aluminum base, following every crevice leading down only to head back up; compelling you to continue staring. Soon enough, the simplicity of the dining table disappears, leaving only an intoxicating illusion of art coming to life. The Morgan rectangular dining table Italian manufacturer Minotti. Presents a model of the dining table on two wide legs. Available in three variants of sizes of countertops. Color in a dark tone wood. A modern solution for the interior of the dining room. 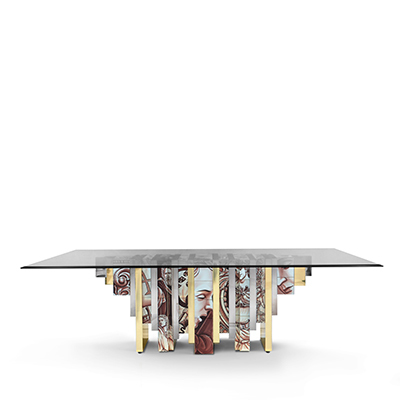 According to Boca do Lobo’s quality signature, Metamorphosis Dining Table embodies handmade techniques such as wood carving, metal cutting and hammering, and polishing, executed by some of the best craftsman in the country. 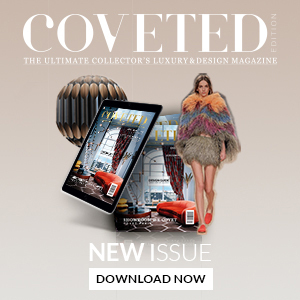 A unique product for those who have a peculiar taste for limited edition pieces and conceptual designs.